I see you. I feel for you. I am you. Battling Multiple Sclerosis, is very trying at times. I want to scream, I want to cry, I want to punch a wall! The symptoms are too much at times. So what is it that I do to stay strong? I take a deep breath first. I allow myself to calm down. Our symptoms will not go away or subside while we are still in panic mode, so this is very important. The next thing I do is find a distraction. For myself, it’s praying, watching a movie, listening to music, spending quality time with my family and writing. Find something that brings happiness to you. If you find a positive distraction, you can cope better through the symptoms. I’m often asked how do I stay strong and these are just a few things that I do. 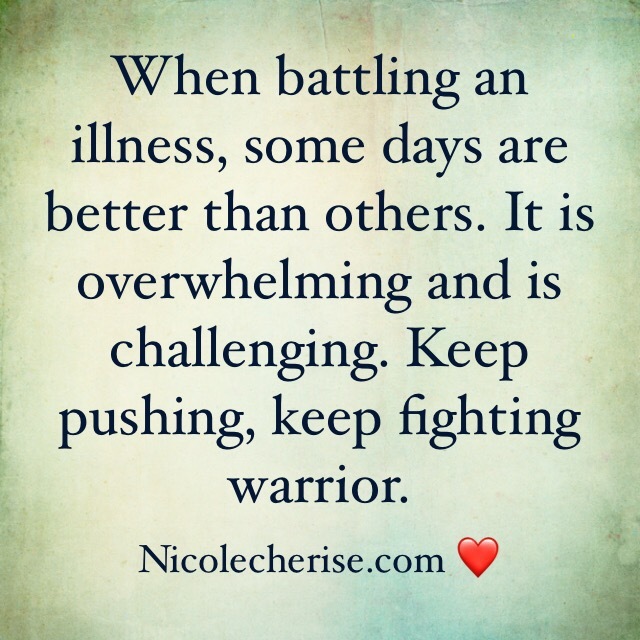 What do you do to cope through symptoms of an illness?